I grew-up just a stone’s-throw away from Roy Hands’ first practice, and showed an affinity with animals from an early age. By the time I was 8 years old, I had already brought home the ageing school hamster, a lonely goldfish left at the fair, a stray cat, and a horde of stick insects a friend had become bored of! My destiny to be a vet was clear, and gerbils, chinchillas, more cats and dogs soon followed. I trained at Liverpool Vet School, and on graduation went to work for the charity PDSA, before joining Roger Hands at Broad Lane in 2001. My long-suffering boyfriend Jerome, was soon joined by rescue-Labrador Max, rescue-cat Freddie (Krueger), and later Lab-cross Sally (found abandoned in a bush in the snow). 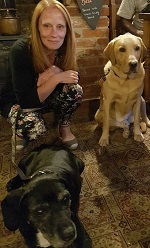 Our hairy-children currently comprise reject Guide Dogs Stumpy (who has short legs) and Lenny (very long legs), and Edward the cat. In 2008, my passion for my work led me to take the reins from Roy’s son, Roger Hands, who has now also retired. Unlike many local vets, which have sold to large Corporate chains, the practice remains family-run and independent, our aim being to treat all the pets we see as one of the family. I joined Broad Lane vets in 2001, after qualifying as a vet in 1999. I have wanted to be a vet ever since I was 10 - and I still love the variety the job brings - there's definitely no such thing as a dull day in this job! My particular interest is surgery, particularly orthopaedics. When I'm not at work, I enjoy relaxing with my 2 naughty cats at home and getting out on my bike in the fresh air. " 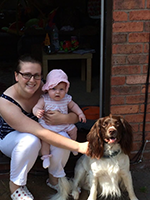 I graduated from Liverpool University in 2008 and spent four years in a small mixed practice in Leicestershire before settling back into my home town of Coventry at Broad Lane Vets. I really enjoy the challenges of small animal practice and take a special interest in medicine cases. I have a Springer Spaniel called Howie, and a recently adopted stray cat (yes, literally bringing my work home with me!) called Calico. My husband, Howie and I spend many hours enjoying muddy walks. Other than that my main interest outside of work is singing. I am a member of Tapestry Singers and enjoy a mix of traditional choral and more modern music. I wanted to become a vet from about age 11, after a couple of family holidays, staying on farms. Broad Lane Vets has been a happy place to work – I joined over 15 years ago, and it feels like one big family. I now work part-time. I have cats, rabbits and guinea pigs (but sadly no dog unless pet-sitting). At home I enjoy partaking in various craft activities, with my daughter, and looking after my lovely garden. From a very young age my ambition was to become a veterinary surgeon. Since graduating from the University of Liverpool in 2012, I have worked in a busy mixed practice in Worcestershire and have recently joined the team at Broad Lane. I love all the challenges of being a vet, and my particular interest lies in Small Animal Surgery. Outside of work I enjoy travelling, horse riding and walking in the beautiful Warwickshire countryside. I also love cooking, especially baking cakes which friends and colleagues seem to enjoy as well! Pets – oh yes my goldfish, and a naughty but adorable cocker spaniel dog. 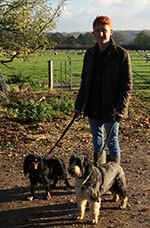 I recently joined Broad Lane Vets after having spent many years working in East Anglia and a short stint in Reading. I graduated from University College Dublin in 2006, and came back to the UK after that. I have always wanted to be a Vet; I remember watching James Herriot on TV with my Dad when I was a little girl. My two cats, Riff Raff and Magenta, are my fur babies. They were hand reared by one of my previous nurses and so love a cuddle (and tuna!). 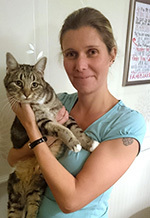 Nadine is working towards her GPCert FelP (General Practitioner Certificate in Feline Practice), and then intends to progress to gain her PgC (RCVS Advanced Practitioner Status). From as long as I can remember animals and wildlife fascinated me. I grew up spending time on my grandparents’ farm around horses and lots of other animals. I’ve never wanted to be anything but a vet; I still wouldn’t want to do anything else. I have 2 dogs Izzy, an eight year old Hungarian vizsla, and Scruffy, a fourteen year old Heinz 57 – an RSPCA cruelty case from my first job. Why did I choose to work at Broad Lane Vets? Patient and client care are clearly a priority. Delivering a consistently high level of care is important to me. The practice is progressive, and rightly proud of its achievements. There were always animals around when I was growing up; especially a loveable Irish Setter called Scuffy. I love walking my excitable spaniel and he takes up most of my time. I also love playing the piano. The friendly atmosphere, and the great reputation, when I came to interview made the decision to move here easy. I now live in the area with my husband. I’m Richard Webb. I qualified as a Veterinary Surgeon, from Bristol, in 1966 and joined Broad Lane Vets in the 1970s. Whilst having great passion for surgery, my interests have always lay in using alternative medicine in conjunction with conventional medicines to improve health and happiness. This took me along the route of Veterinary Acupuncture. I am a practicing member of the Association of British Veterinary Acupuncturists. Following my retirement as a clinical veterinary surgeon I have continued at Broad Lane running acupuncture clinics. My parents tell me I first said I wanted to be a vet when I was 3 or 4 years old. I never really considered doing anything else. Growing up there were always more animals than people in the house. I qualified from The Royal Veterinary College, London, in 2008. Since qualifying I have worked solely in small animal practice in the Midlands area. My interests within the veterinary profession are varied, and I am always keen to keep learning. Outside of work I enjoy spending time with my family, and my four legged friends. We have 2 fur-babies; a Bichon Frise called Dexter, and a Border Terrier called Wilson. In the last couple of years I have started to show Wilson, qualifying for Crufts in 2016 and again in 2017. I chose Broad Lane Vets for their passionate, professional and family orientated approach to veterinary medicine. Patient care is always a priority here. For as long as I can remember I always wanted to be a vet. With a keen interest in medicine, and an unfailing love of animals, I could not imagine doing anything else. I have a gorgeously naughty golden retriever puppy, Hugo, who had a great time at Broad Lane’s puppy party and has now started his basic dog training. And when I’m not at the practice I love the great outdoors; especially winter sports! After many years of seeing practice during my university studies I could not wait to return to Broad Lane as a fully-fledged Veterinary Surgeon. I think I always wanted to be a vet. I would regularly ask my parents to foster pets, and even managed to adopt a few of them. My mother was not however impressed with the number of hamsters I took on! I now have 2 cats; Bia, the chilled old lady, and Pitanga, the naughty Bengal. I love spending time being with friends and family. And I do love to travel. I chose to work at Broad Lane because of the friendly, family-like environment. I have always been intrigued by animals and their biology. From an early age I had pets, so becoming a veterinarian has always been a top priority for me. I am the owner of 2 guinea pigs, Butters and Shadow. Most mornings I attend Boot Camp before going to work. I find this is the best way to start the day! In the evenings I will often watch a film or read an entertaining book, although my favourite way to spend my free time is with family. During my final year in university I completed my placement at Broad Lane Vets. This gave me the opportunity to meet the staff and work with them. The busy yet supportive and friendly environment was what drew me to apply for a job here. 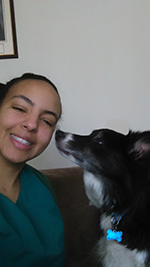 Becoming a vet allowed me to combine my love of animals with my interest in medicine. I have a cheeky Golden Retriever, Emmett, and Cedric, his feline partner in crime. In my spare time I love to read, travel and eat good food. Broad Lane is such a friendly team, who share my passion for providing a high standard of veterinary care. I always wanted to work with animals and people (yes every pet has an owner). After a motivating work experience placement I knew it was the path I wished to follow. 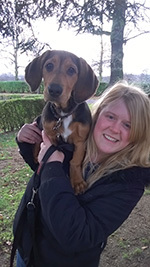 We have two rescue additions to our family – a crossbreed called Bracken and a cat, Herbie. My time is mostly taken up being a mummy these days. However in my spare time I do enjoy playing tennis, photography and visiting the theatre. Broad Lane has a reputation for being a lovely place to work. I wanted to work in a practice that is progressive, with excellent clinical care and a great team of staff. I have found all that here at Broad Lane, and am excited to have joined the BL family. I have wanted to be a vet for as long as I can remember. I have always grown up around animals and always wanted a career working with them. Our pets are part of our families and being able to work with clients and their animals is such a privilege. 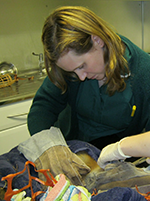 I graduated in 2016 from the Royal Veterinary College and have worked in a small animal practice since graduating . After finding my feet, and gaining experience, I am excited to be working at Broad Lane ; an independent practice with a fantastic reputation and a friendly , experienced team. After moving to a flat where animals are not allowed (boo!) I love going back home and walking our two family whippets , and spend most of my free time riding my horse Saracen. A new hobby I have also found is aerial arts; nothing like hanging upside down after a busy day at work! Many years ago (no I’m not telling you how many) I did my Duke of Edinburgh Award service section at Broad Lane. I continued volunteering and have been here ever since! I progressed from a student nurse, to Head Nurse and on to become Practice Manager. We have a fantastic team at Broad Lane and being a family run business the atmosphere offers a great place to work and develop. 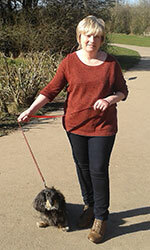 We have so many lovely clients, and meeting them with their pets guarantees no day is ever the same. Outside of work I am busy with my 3 children, 2 talkative guinea pigs called Lara and Oreo and my hubby. I love crafting, reading and my greenhouse! As a family we enjoy camping and the outdoors. We are addicted to American Football; with all 3 children playing competitively for the Coventry Cougars. I began my working life here, at Broad Lane Vets, after leaving school at 16 and still work full time. Like Lisa, I have never worked anywhere else! I began on a YTS scheme (yes a certain generation will remember them!) and progressed to qualify as a registered veterinary nurse. I now work as head nurse but am still very clinical within the practice. I love meeting you with your pets, particularly during my consulting sessions and at our popular puppy parties. I have 3 cats all rescues from the Cats Protection, adopted through strays brought into the surgery. I love working in such a friendly environment, with great colleagues. I have a rewarding career, doing a job that I still enjoy. I do enjoy a variety of hobbies but rarely have time these days as I am kept so busy with my young family! I joined Broad Lane Vets straight from school, heading to college to complete my Veterinary Nurse training, and am another member of the team who has been here for many years! I work part-time now as I have a young family, and along with loving my general nursing I have an interest in stock management. 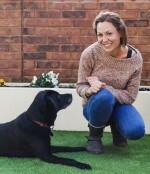 I love meeting you and your pets during my weekly clinics, and am always on-hand for any help or advice you may need. I’ve been working in vets for many years now and have always had a passion for the profession. I decided veterinary nursing was the career for me, completed my training at Broad Lane Vets, and have been here ever since. I particularly enjoy surgical nursing. My passion for rabbits is developing into my own clinics – do come and see me. I regularly spend time in local schools giving career talks and teaching children about animal welfare. As with most of our staff I have a number of second-hand pets; two rabbits called Denby and Dalton, my unique feline Finley and a garden of chickens! Outside of work I'm actively involved in my church but also enjoy indoor and outdoor activities such as walking/cycling and reading. 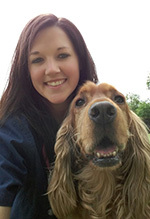 I have worked at Broad Lane Vets as a Registered Veterinary Nurse since 2000. I am rather camera shy and hides from my adoring public. I particularly enjoy working in the practice laboratory and can often be found assisting with stock control. I have a cheeky dog called Bracket and several Giant Land Snails. In my spare time I love walking in the countryside, and baking and decorating cakes. I became a nurse as loved working with animals from young age. My parents used to say I got on better with animals than humans! After my A levels I decided to do BSc Hons Degree in Veterinary Nursing. I love working at Broad Lane Vets as all the staff work 100% towards the best care and treatment of your pets. We work great as a team, and always try our hardest for each animal. I have springer spaniel called Dodger, and two rescue cats Dee-Dee and Digby (who was a stray kitten rescued by staff at Broad Lane). I now work part-time and spend most of my time away from work with my daughter enjoying days out with my dog. When I have 5 minutes to sit down a good book is always nice! I always knew I wanted to work with animals but enjoyed studying, particularly science. My mother is a nurse, so I grew up hearing about lots about medical and surgical work. Veterinary Nursing was the perfect fit. In my spare-time I enjoy being creative; scrapbooking, drawing and sewing. I also enjoy salsa dancing, and am learning Italian. I have a two year old husky, named Kobi, who loves playing with other dogs and taking long walks. I like working at Broad Lane Vets as it is a family run business. This allows our focus to be on the greatest levels of individual care for your pets, and a more personal service to you. I've always wanted to work with animals since a young age so here I am. I have recently qualified as a registered veterinary nurse and am enjoying the challenges this brings. 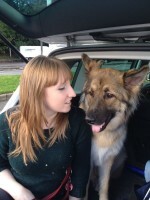 I enjoy being able to help animals and owners, and I love working with my colleagues at Broad Lane. I qualified as an RVN in 2005. I decided to become a VN due to my love of animals especially dogs and cats. I grew up with Irish setters, and they remain my best friends still today... I currently am owned by 4! 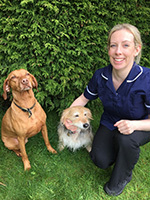 My parents always used Broad Lane Vets with our pets and it left a great impression on me and I was given the opportunity to work there to carry out my veterinary nursing training in 2003. 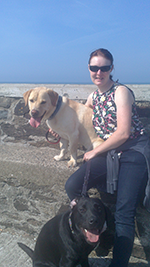 I left in 2008 to work for Guide Dogs but returned in 2011 to work Sundays. Why? Because I love the practice and the staff. I’d always had a fascination for animals from as far back as I can remember and so the only career path in mind was a veterinary nurse. You will find me working at the practice most Sundays’, consulting and looking after our in-patients. The atmosphere at Broad Lane has always been one of the geatest things about the practice, there is a real air of teamwork and the pets always come first. I have a bit of a menagerie; aviary birds, chickens, pheasants, ducks, a harris hawk, bearded dragons, pond fish and 4 dogs - a rescue Labrador, a German Shepherd Dog, a Husky and a rescue Tamskan Dog. All of which are, of course, a huge commitment and take up all my spare time but they are very rewarding. Out of work hobbies include falconry, swimming and dry-land mushing or ‘Bike Jor’ with my dogs. I’ve had an affinity with animals since I was a small girl; the injured animal always came home with me. It just felt natural to become a veterinary nurse. At home I have a rescue cat ‘Tux’, who had been living as a stray for 3 years. Now he lives on our bed! I work at Broad Lane part-time, having a young daughter at home who keeps me busy. Any spare time I have involves running, cooking and family days out. I chose to work at Broad Lane Vets because they showed me they were a supportive and caring team. I love that the management are keen for you to pursue your special interests, and develop them to the benefit of our patients. After working at an animal rescue for several years I realised I wanted to pursue my animal care career further. 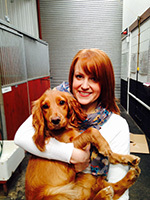 I started working at a veterinary practice in 2012 as a veterinary nursing assistant. 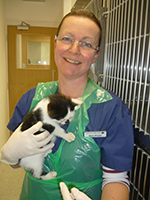 After watching the care and support of the veterinary team I knew then I wanted to become a Veterinary Nurse. I started my nurse training in September 2014 and qualified in January 2017. Whilst working at the animal rescue I fostered many animals and also rescued 2 Degus; they sure are crazy little critters! I currently have a 1 year old deaf white cat called Minnie. Minnie was a stray who was brought into my previous practice to be neutered and was then going to be re-released. Due to her being deaf I knew I had to adopt her, as I felt it wouldn’t have been safe for her to live outside. She settled in quickly and is the most affection cat I have come across; even enjoys playing hide and seek! I enjoy spending time with my family and friends, watching films and going to concerts. My new year’s resolution this year was to learn to crochet, and so far I have made several teddies and blankets! After working and training at a corporate practice I decided I wanted to further my nursing skills, working at an independently owned clinic. After attending a trial session at Broad Lane, and seeing how dedicated and friendly all the members of staff were, I knew I wanted to join their team. I love being around, and working with animals. I find it so rewarding. I have several pets: a pony named Willow, a cheeky pug called Poppy, Molly a furry feline and lots of tropical fish. I love the great outdoors. I enjoy spending time with my family, including camping, riding and walking Poppy. Tropical fish is my latest passion. I work part-time at Broad Lane Vets. Having previously worked for corporate practice I am enjoying settling into this friendly, privately run practice. From a very young age I have had a passion for animals and after starting school, it became clear that I enjoyed science too! This led me towards a career in veterinary science. I chose the veterinary nursing route, as I love to care and support the animals and the versatile nature of the role attracted me. The opportunities are endless! 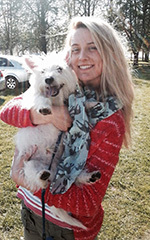 I currently do not have any pets, after losing our family dog, George the Westie. My fiancé and I would love to have three dogs in the future, a black Labrador, a Hungarian Vizsla and a German Wire Haired Pointer , plus maybe a few chickens, a pig …perhaps after winning the lottery! I enjoy helping to look after the “in law’s” dog Baxter (Westie cross Jack Russell) who is adorable and has had a few trips to Broad Lane himself! I enjoy cooking and baking (and eating in general! ), I like to balance this out with running and have participated in the Winter Wolf Run last year which was so much fun! I also have a keen interest in travelling and have recently visited Sri Lanka where I worked with elephants, which was an incredible experience. Broad Lane Vets is a lovely place to work, there is a great team spirit and very much a family atmosphere. This reflects the ethos to treat each patient “as one of the family”. This is particularly important to me as a veterinary nurse, as I take enjoyment of caring for animals individually, respecting their unique characters, temperaments and needs. Finally I have the opportunity to do my dream job. 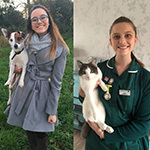 I want to become a vet nurse because along with working with animals on a daily basis and of course being able to help them, it is such a wide ranging career where further training can be undertaken meaning you can keep on learning and developing new skills and areas of interest once trained. 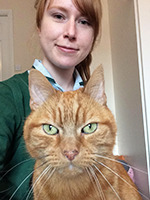 The best parts of working at Broad Lane are the staff and clients (and of course their pets), who have all been supportive of me in my new role as a Student vet nurse. I have a cat called Milo, three Lhasa Apso's called Theo, Rosie and Grace and a naughty Netherland Dwarf Rabbit named Henry. I have been showing my dogs for nearly nine years now, I am currently only showing my youngest Grace, although showing is having to take a back seat whilst I concentrate on my training and course. I have always wanted to work with animals and spent most of my teenage years volunteering at stables and wildlife sanctuaries. 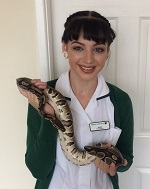 After gaining a degree in animal behaviour, ecology and conservation, I somewhat fell into the veterinary profession through some work experience at a veterinary practice. I instantly decided that veterinary nursing was my niche and qualified as a registered veterinary nurse in 2006. At home we have a black Labrador, called Frieda, who we’ve had from a pup and the children adore. A gaggle of young children, and a dog, doesn’t allow much spare time these days for pursuing my own hobbies/interests. We are lucky though that the girls have inherited our love of the great outdoors and the British weather! So we can mostly be found, in our spare time, out and about exploring the countryside, with Freida. The girls love to head in search of the best dandelion, shiniest conker or biggest muddy puddle…. Yes, thanks for that Peppa Pig! 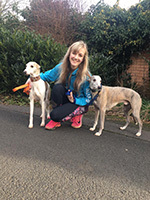 I joined Broad Lane Vets in 2010 having moved to the area from Staffordshire. Broad Lane appealed to me due to its dedication, care and compassion to patients, clients and staff alike. I have recently returned part-time after an extended maternity leave/career break raising my own ‘litter’ of triplets! I joined Broad Lane Vets from a practice in Stratford. I have recently qualified as a Registered Veterinary Nurse and have gained ‘my greens’. I spent my childhood around animals, and so the natural progression was to work with them. I enjoy being part of a team, and love the challenges veterinary practice throws at you. In my spare time I enjoy swimming, watching films and walking. I have a menagerie of pets at home; a Cavalier King Charles Spaniel called “Oscar”, “Pippin”, a Bearded Collie Cross, a cat called “Lola” and a Bearded Dragon, “Spike”. Broad Lane has made me feel really welcome. They are such a friendly team. Being such a busy practice I have had so many new experiences, and look forward to meeting you and your family. I've always wanted to work with animals from a young age. 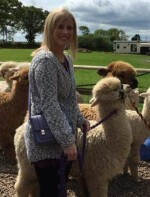 I knew I wanted to be a Veterinary nurse after completing my HND in animal management and was very interested in learning about the health and welfare of animals. I've now qualified as a veterinary nurse and love my job. I have 3 pets, 2 chinchillas and a rescue cross collie called Jake. I spend a lot of time at home with my two children and we enjoy going on fun days out, swimming and crafts. Broad Lane has a great working atmosphere. 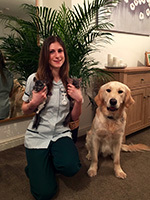 From the first day I was welcomed into the team, and everyone is caring and passionate to the clients and their pets. From a young age I had an interest in medicine. I very quickly discovered I loved animals, and working with animals became my dream. Even though my childhood was spent growing up with dogs, since becoming an RVN I’ve discovered I love everything cat-related. So much so I am now the Practice Cat Advocate and have gained my ISFM Certificate in Feline Nursing. 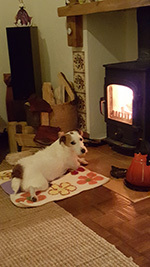 Having recently set up home my parents are looking after my Jack Russell Terrier, Jake. He was brought into my previous practice as a puppy and I took him on. It was love at first sight, and he is now a massive part of our family. My partner and I, within 2 weeks of setting up home, had rescued a kitten. He is very cheeky but we wouldn’t have him any other way. I regularly head home to spend time with Jake. Myself and my fiancée love hiking and the great outdoors… the bigger the mountain the better. Any other downtime is spent with friends. I love Broad Lane’s family approach. Being an independent family run practice I feel I am able to grow as a nurse. I have wanted to be a veterinary nurse for as long as i remember, i spent my childhood growing up with animals and soon realised that a career with animals was what I wanted. Once i found out what the role of a veterinary nurse consisted of I started work experience at a practice and soon knew that it was the career for me. 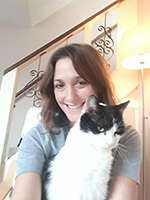 I love the fact that every day is different since qualifying as a veterinary nurse I have taken a keen interest in feline friendly nursing and I am currently completing the ISFM certificate in feline friendly nursing which I am enjoying and have learnt loads from! 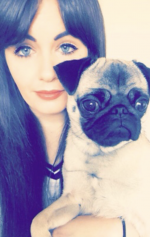 I am the owner of 5 pets, a sassy Pug called Effie, a cute Shih Tzu called Bentley, a Bengal called Akeela and two domestic long haired cats called Bella and Raiko, most of which I have acquired since working in veterinary practice. In my spare time I enjoy dog walking, yoga and cross stitching. I also enjoy visiting new places especially places full of history! I chose to work at Broad Lane vets as the atmosphere that i felt on my trial day was so warm and welcoming. I wanted to work in a non-corporate practice to feel the sense of a family run environment and that's exactly what Broad Lane is - one big family and they have welcomed me into the team so well and everyone is so lovely . The fact that Broad Lane is a gold standard cat friendly clinic was also another reason that I wanted to work there and I am very proud to work somewhere with this status. I have been a receptionist at Broad Lane now for many years. I joined the team after a career as a nurse in the NHS. I have completed an NVQ level 2 in customer care and more recently my SQP training. There is never a dull moment on Broad Lane’s reception. Each day is so different and challenging. I can be found armed with schmackos, my secret weapon in making friends with all your dogs! 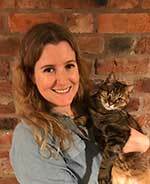 As a cat owner I am proud of our Cat Friendly status, and our popular cat only clinics that we hold on a Wednesday at our main surgery in Broad Lane. I have a menagerie of pets at home with cats, rabbits and a cheeky dachshund called Minxy. 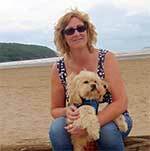 I’m Sue and I split my time between our Balsall Common Surgery and the upstairs office at Broad Lane. I enjoy the variety that I have between working on reception and day to day practice administration. Here I am with my two horrors Bisto and Scooby. As for me, apart from walking and generally being around these two I love playing hockey and tennis, riding and doing my garden. What do I like about my job? Well, what can I say, love being around animals and am very lucky to be working with a great bunch of people - never worked anywhere with so many staff and yet such a good atmosphere - a real team. I enjoy working with people and love animals so working for BL made sense, and is just like one big family. You will usually meet me at our Radford Road Surgery. Outside work, I enjoy dog grooming and am owned by lots of four legged, and some feathered, friends - Never a dull moment. I chose a veterinary career later on in life...... as I was losing myself in the 'corporate' world and wanted a job which I would be satisfied doing each day and animal welfare is high on my priority list. I have a 6 year old Parsons Jack, called Lyla, who is my world. I enjoy walking and being with my dog, exploring new places and watching Rugby League - I try and venture up the motorway as much as I can to watch the live games! I wanted to work in a 'non corporate’ practice, family run, as there is a huge difference! The staff at Broad Lane Vets are very committed to their roles, and are lovely to work with. Having wanted to work with animals from a young age I trained, and qualified, as a Registered Veterinary Nurse. Over the past twenty years I have held many other animal related jobs, including working for several charities and in veterinary sales. These days I prefer a less physical role, so work on reception. My friends think of me as the stereotypical ‘crazy cat lady’, having had a house full of cats over the years. Currently I have a Cyprus rescue dog, called Henri Bear, who came to live with me in the UK IN 2009. I spend much of my spare time volunteering and fundraising for animal related charities, so am kept busy event organising. 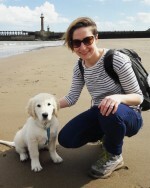 I enjoy foreign travel, and regular trips to the seaside with my dog. I also practice Reiki. Why Broad Lane Vets? I was looking to join a non-corporate practice which would allow me to work part-time hours. Broad Lane offered me both. Since joining the team I have been impressed with what a close-knit friendly team they are. I have always had a passion for animals from a very early age, competing with my ponies, horses and my lovely dogs. 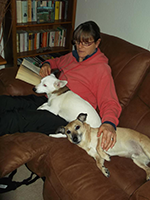 I moved to Broad Lane from Village Vets, having previously worked for Liz and John Pierce, in Balsall Common since 1992. I now work as a receptionist at the Balsall Common surgery. Elly and the team have been so welcoming and supportive during the transition. My hobbies include gardening and walking with my cocker spaniel, Amy. 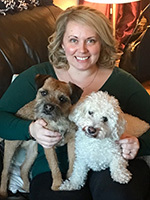 I am also a qualified Kennel Club Judge breed specialist in English and American cocker spaniels and hold an Animal College Judges’ Diploma. I love animals so working with them is perfect. I enjoy meeting clients and their pets, and helping them as much as I can. I’m currently looking to adopt a new dog. Music and travel are my relaxation. I also enjoy walking, but this is so much more enjoyable with a dog at your side. Broad Lane is a local family business, with a great reputation. I have grown up knowing about this practice, and now am proud to be a part of the team. I have always pursued animal related interests. I completed an animal science course post-16, and realised in a veterinary career was where I wanted to be. I own a corn snake and a royal python. I enjoy spending time outdoors: camping and walking. I love reading, and pet sitting for my friends. 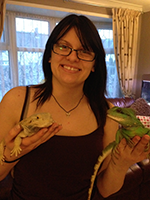 And as you may guess by my pets I have an interest in reptiles! I chose to work at Broad Lane as it has a great local reputation. With great family values, it is proving a friendly place to work. For as long as I can remember I have been interested in natural history and have always been surrounded by animals in one way or another. My husband Steve is a wildlife photographer so animals are an important part of our lives. 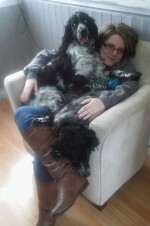 2 Newfoundland Dogs share our lives, Sam who is 6 years old and Bella who is 4 years old. When I am not working, I enjoy upcycling furniture, gardening, crafting and raising funds for Newfoundland Welfare. I love working at Broad Lane Vets because they are an Independent Vet, not a Corporate Business, so friendly and a fabulous team. I knew from a young age that working with animals was inevitable. 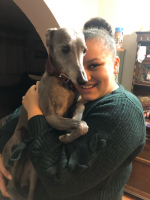 Having worked as a Veterinary Care Assistant for almost 6 years I finally found the courage to chase a career in Veterinary Nursing. I love the challenges and variety the role brings, and of course meeting new furry friends and their owners. I share my home with 2 forever hungry Labradors, Anna and Evie, and 6 cats, 4 of which were hand-reared, named Archie, Ernie, Harvey, Dougie, Macie and Martha. During my free time I enjoy catching up with friends, walking my dogs and spending time with family. Having carried out my work experience at Broad Lane Vets many moons ago I remembered the friendly, family atmosphere and l knew it would be somewhere I could feel at home. I’ve always loved animals, and after studying Zoology at University I decided I wanted to become a Veterinary Nurse. Whilst growing up I rehabilitated wildlife at a local rescue centre, and from here my love of small animals grew. I’ve a menagerie of pets at home. Loki, my golden retriever, joins me at work most days and is one of the many staff dogs who visit the practice daily. I also have 2 chinchillas; Milo and Pip, and 3 cats; George, Twiglet and Charlie. In my spare time I enjoy horse-riding and scuba diving. Broad Lane Vets has a lovely family feel. I was recommended to work here by an ex- colleague, who had had a great experience with the practice. Broad Lane is a veterinary nurse training practice, with an excellent reputation and high pass rate for students. I have a keen interest in anatomy and physiology and ever since I was young have desired a career in caring for animals. Veterinary care is very rewarding and every day is filled with new challenges. I have 5 Guinea pigs: George, Genie, Jasmine, Minnie and Harley. I like linking my love and interest of animals into my favourite hobbies which include photography and artwork. Broad Lane Vets has given me the opportunity to work for a family run business where everyone looks out for each other. They are always there to offer support for day to day tasks and further education. I am very happy to be part of the team! I always wanted to work at a vets. Whilst doing my level 3 animal management at college I did a long-term placement at a local practice. This confirmed veterinary nursing was my career path. I own 2 dogs, Roxy and Diesel, who were rescued as puppies. Meeting old college friends, shopping and spending time away with my fiancé are my favourite pass times. I enjoy swimming, the gym and long country walks with the family. Why Broad Lane? The team is a great bunch of friendly people, who are passionate about animals. I love the fact that it is a family run business, not a corporate; with all of the staff working here have a real interest in providing an individual service with empathy and care. Hi I’m Heidi and work at Broad Lane an Auxillary Nurse and SQP. I have a Bearded Dragon, Merlin, and Archimedes, a Chinese Water Dragon. Merlin enjoys running around the house chasing after the cat, whereas Archimedes prefers to spend his days on the top of my curtains keeping watch. Chris, our receptionist, says I need to get rid of them to get myself a man. My mum doesn't enjoy having them in the house because of the 100+ locust I have to buy for them every other week. I couldn't imagine life without my lizards. I’ve recently gained another slightly larger pet. He’s a horse called Merlin! 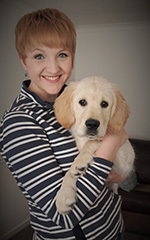 I love meeting our wonderful clients, with their pets, and am often found on reception. I have a particular interest in pharmacy and am currently undertaking my avian SQP training. Since a young age I dreamed of working with animals. After carrying out a college placement at Broad Lane Vets I qualified as an animal Nursing Assistant, and joined Broad Lane Vets full time. I am currently working towards my SQP qualification. When I am not spending time with my German Wire Haired Pointer, Moose, I love horse-riding, playing hockey, reading and baking cakes (not very well!). I love the working atmosphere at Broad Lane Vets, and how everyone looks out for each other. And I love that every day is so different from the last. I chose this career as I have always had a passion for animals, and a need to care for them. I left and tried another animal related career, but before long I was back home at Broad Lane. I have a German Shepherd Dog, called Layla, who is a typical staff pet; a long list of unusual ailments! I work part-time and at the Broad Lane and Balsall Common surgeries. I love spending my days off walking with Layla and my daughter. I‘ve worked here for many years and feel like a member of the family. The care and compassion shown by all the team is second to none, and off the highest standards. I have always had a passion for animals, and the wish to work with them. I returned to college to study animal welfare, after a career as a chef. I carried out a series of work placements at Broad Lane, and was offered a student nurse training position following completion of my college course. I share my home with 2 dogs, 3 corn snakes, 2 Leopard Gecko lizards, a Bearded Dragon and a Grey Tree Frog. My spare time is taken up caring for my animal family. Broad Lane came highly recommended by a friend. It is a great place to work with its friendly atmosphere and a dedicated work ethic. I am very passionate about animal welfare and have always wanted a job where I could help animals. I am currently at college, part-time, completing my pre-nursing year and plan to begin my Veterinary Nursing Diploma next year. I have a rescue cat called Mogli and we are inseparable. When I’m not at work I enjoy going for walks, watching movies and spending time with my family. I enjoy working at Broad Lane because of the encouraging, family run environment and being surrounded by so many dedicated people. After originally planning a career within Musical Theatre it wasn’t until the last minute after planning my degree I realised I had a growing passion for animals and wanted to spend the rest of my life dedicating all my time and efforts towards helping them. After growing up never being allowed pets I have now gained a variety of animals ranging from my 4 whippets, 2 cats and 4 hamsters. To then having livestock of goats, chickens and ponies. I always love spending part of my time involved in some form of exercise such as, circuit training or dancing. I have also discovered I enjoy long walks, my favourite route being at the Thornton Reservoir with my dogs. I originally spend 2 weeks at Broad Lane on placement shadowing the vet nurses supporting approaching my Uni application for Veterinary Nursing but after spending time with the team and getting to know the practice I decided I wanted to train here and be apart of the amazing team that had been so accommodating and helpful to me. I love animals so a veterinary career was the answer. Growing up Steve Irwin and David Attenborough were my idols. This combination led me to study Animal Behaviour and Welfare. During my university studies I realised I had a keen interest in the medical side of animal care and their husbandry. I have two dogs, Harley and Bruce. Harley is an intelligent Brittany Spaniel, and Bruce, a loveable, boisterous Cocker Spaniel. I am an avid reader, enjoying fiction and non-fiction. I love spending time with my family and friends, especially over a cup of coffee or going on a day trip somewhere exciting. I have previously worked in a veterinary out of hours. Speaking to people who came in they had only good things to say about Broad Lane, and the team. Once a position became available I applied, and my journey to train as a veterinary nurse began. 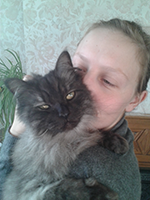 I chose to pursue career in a veterinary practice due to my eternal love of animals! I hope to become a veterinary surgeon, and so combining my passion of helping animals with useful experience to aid my vet school application seemed perfect! I have a keen interest in all animals but especially birds! 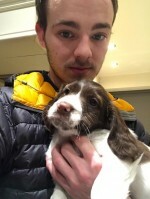 I have a cocker spaniel called Harley, a black cat called Beauty, bill the guinea pig, Shelley and Sheldon the tortoises and two goldfish as well as around 75 birds of all different species! Most of my spare time (when not studying for my A-levels) is devoted to my birds. 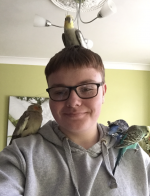 I breed mainly finches, canaries and budgies, and so I spend as much time as I can down the bird room. Broad Lane has always been somewhere I have wanted to work. 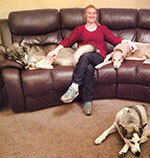 When bringing my animals, I got a family feel and noted the closeness between staff. This is something that really appealed to me!